The title of this article is not a false claim to lure you here but a proved argument. Versatile Vicky shared the best weight loss diet plan of 900 calories which has been confirmed by many experts including me that it actually works. What I like best about this diet plan is that it consists of simple food items that are easily available. I have also vegan alternatives with every meal. It is true that there are different body types and some people lose weight slower than the others. 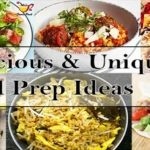 This best weight loss diet plan works irrespective of all body types and gender. Some of you may not lose complete 10 KG but this diet will definitely burn your weight faster than any other plan. Achieving a healthy weight is all about striking the right balance between the energy you put in and the energy that you use. So, it is recommended that you also follow the workout plan video shared at the end of this page. For a healthy life, you need to follow a healthy routine. It is recommended to wake up early in the morning. First thing you need to do is drink around 2 glass or 500ml of warm water. Drink water slowly and you will feel your metabolism starting. Now go for jogging and do some abs workout. It’s time for breakfast after you have done your exercise. This breakfast will not only help you burn your calories but also provide you the energy to work the whole day. You can eat oatmeal instead of eggs if you are a vegan. Eggs are high in protein and green tea contains many antioxidants that help in reducing the weight. One cup of oatmeal contains about 160 calories but eggs are richer in protein. 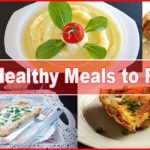 In the following video you can see 3 healthy oatmeal recipes for weight loss. In lunch, you will get to eat one extra apple. You will not feel weak or low all day with this best weight loss diet plan. Apples are a natural fat blocker and also high in fiber. Alternative to eggs, you may eat whole grain bread with vegetables cooked in water instead of oil. I recommend eating bread if the weather is hot. 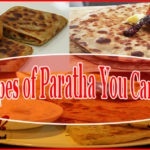 In South Asian countries, you can eat one Chapati with cooked vegetables if whole grain bread in not available. 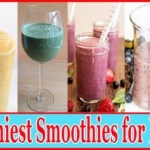 Also see 10 Tasty & Healthy Shakes for Breakfast (with Calorie Count). Between your lunch and dinner, you should again eat something to boost you up. Following are recommended, however, you can also eat some vegetables that contain low calories. You can eat any other fruit that is high in fiber but apple would be best to achieve the precise 900 calorie diet. You should learn how to cook oatmeal with fruits or vegetables that are high in fiber and low in calories. Be sure not to use apricots and raisins in the oatmeal if you are following this best weight loss diet plan of 900 calories. First of all, be sure to adjust your workout time before or after the dinner. In addition, drink 1 cup of green tea at least 1 hour before you go to sleep to complete best weight loss diet plan. Following video explains the complete workout for extreme weight loss. This guy is explaining in Hindi but his instructions are good so turn on the subtitles.